It has been said that once you reach a certain point in your spiritual awakening, all life is recognized as precious. There is no mankind, animal kind or plant kind, there is only us. It is in my personal experience, this could not be more true. The realization came on so slowly, I was ambushed by an overwhelming love for all. Mankind became my family, the animals my children and the planet my home. All deserved my attention, stewardship, appreciation and gratitude. Even before this occurred, I had quit my job at a dairy farm; I could not stand the treatment of the animals, the fear in their eyes and hearts. Being empathic, I could bear it no longer. Even though I loved them very much and still do, I had to leave. It became impossible for me to any longer consume meat. I have no quarrel with people who do eat meat, I am in fact the only vegetarian in my household. The realization of all life being sacred and interconnected is one everyone must come to on their own. In my opinion there is no need to lecture or fight with one another; the realization of all unified life will come in due time, when each individual is ready to understand. Vegetarians, vegans, and raw foodies lead by example with every day they live, by every choice they make and with every delicious meal they prepare that there is no longer any need for violence against our fellow creatures; that a different lifestyle can be committed to and upheld. It is time, and has been for a while now, to give a voice to our fellow brothers and sisters whom inhabit this planet with us. 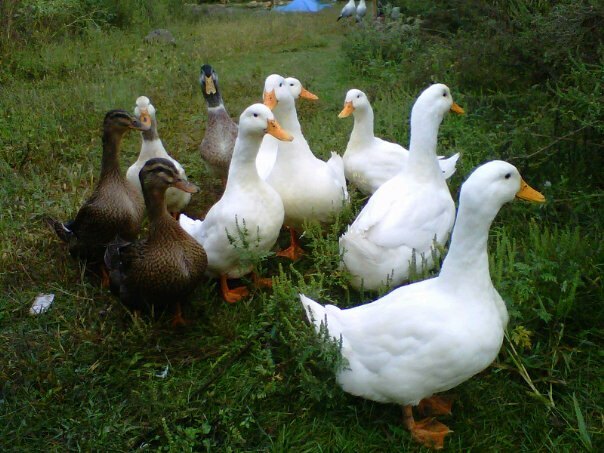 Our beloved ducks that wander around my family’s garden. It must also be said, for those who choose a different path there are “proper” venues to purchase your animal “products” from. I suggest organic local farms, places where you can go and visit, get to know the people who run them and meet the animals who are giving the ultimate gift, making the supreme sacrifice of their very lives so you can live on. Appreciate this gift, me mindful of their sacrifice. Or better yet, raise your own animals! Greet them every morning with tenderness, feed them with love and best of all, understand the true joy they can bring you. There are many who would argue it is not a gift, it is mindless slaughter but I disagree. In a world filled with possibilities I choose to look on the brighter side. 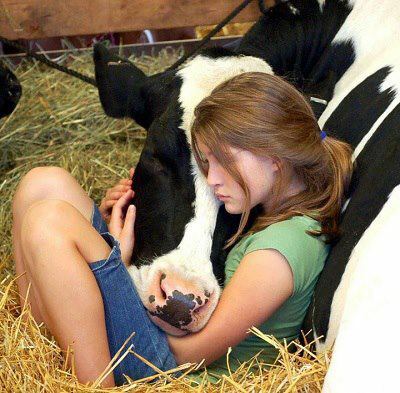 I choose to notice the love these people have for their animals, the fact that they give them names, the fact that the children go out and talk to them every day, the fact that they get to go outside and all be it a short one, are allowed to have a life. I too, like many of you, look forward to a world where animals have the right to a life instead of allowed one. Let’s create this world together, one act at a time.